So, who loves chess squares? If asked that question, my hand goes up faster than anyone in the room. I love them, and that’s an understatement. But, these aren’t your typical chess squares. The recipe is made with a spice cake mix and pecans in the crust. It’s the perfect Thanksgiving and Christmas holiday dessert–or even a special fall treat. I had to work this afternoon, so my husband helped me finish up the chess squares. He was so sweet and took them out of the oven. He was given the specific job of using the cake tester and taking them out of the oven, and they turned out perfectly. Recipe and printable instructions at the end of the post. 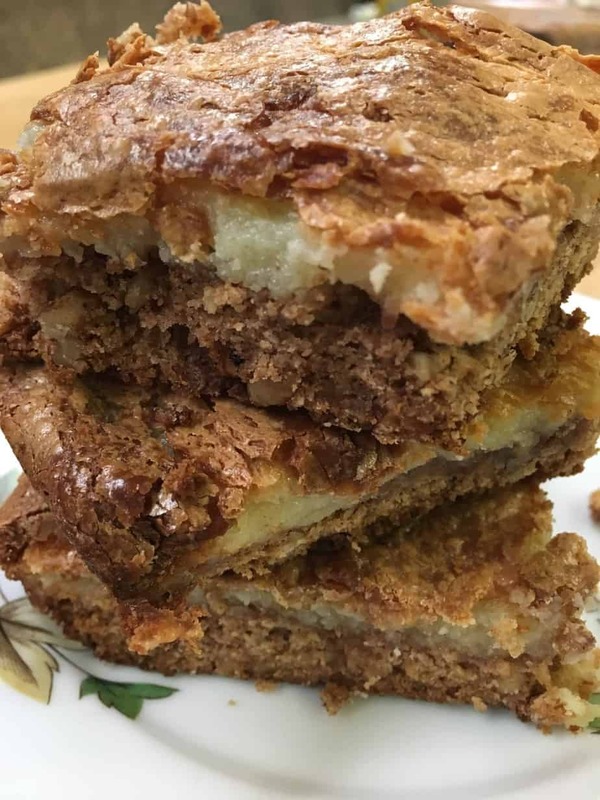 If spice cake is out of season, you can make some southern girl chess squares here with a plain flavor. Believe me, there’s nothing plain about the chess squares. I swear they are so good you won’t be able to get enough of them. I have taken chess squares to church quite a few times and people always eat them up and then come running for the recipe. Start off with the spice cake boxed mix, softened butter, and one egg. 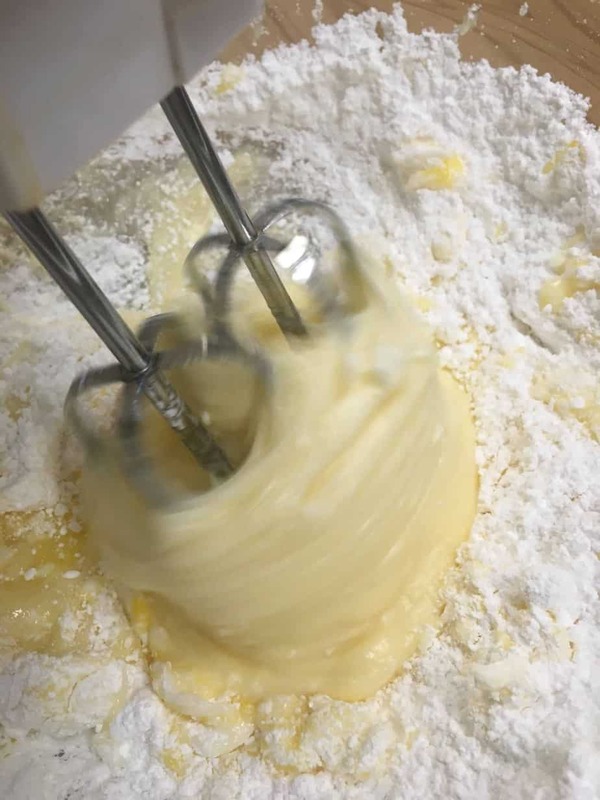 Mix it all up with a fork, or the mixer. Next, add the pecans and stir them into the batter. 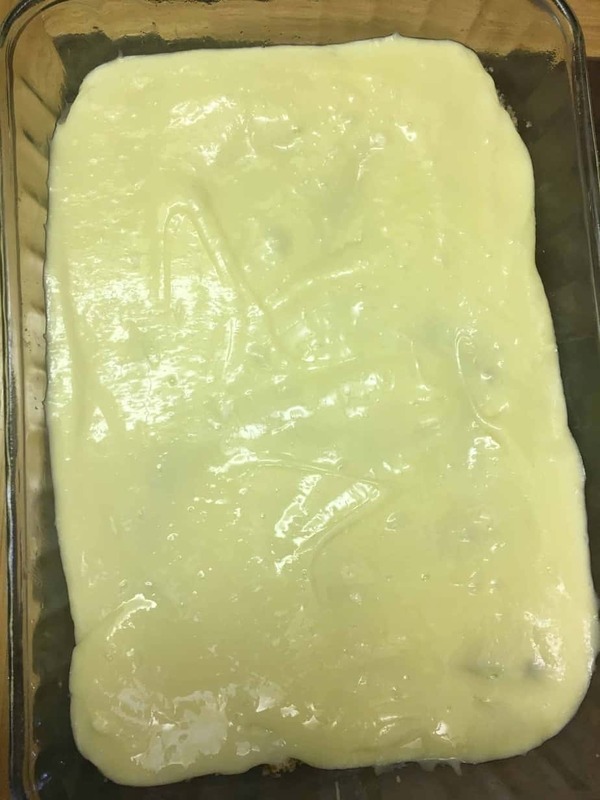 Press the batter into a greased 9″ x 13″ baking dish. 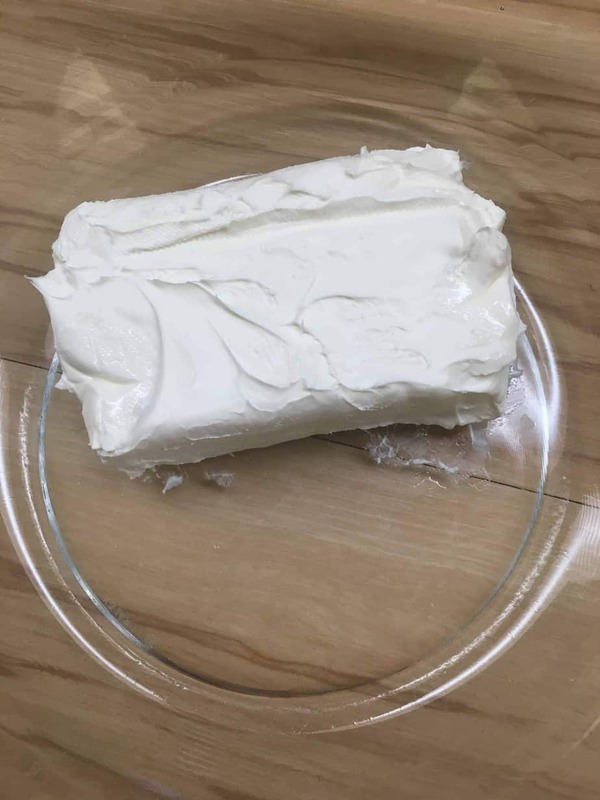 Next, grab another bowl and add the softened cream cheese to the bowl. I think this next step is my favorite, because you are adding the powdered sugar. Good, good stuff. Cream cheese and powdered sugar is just a happy thought. 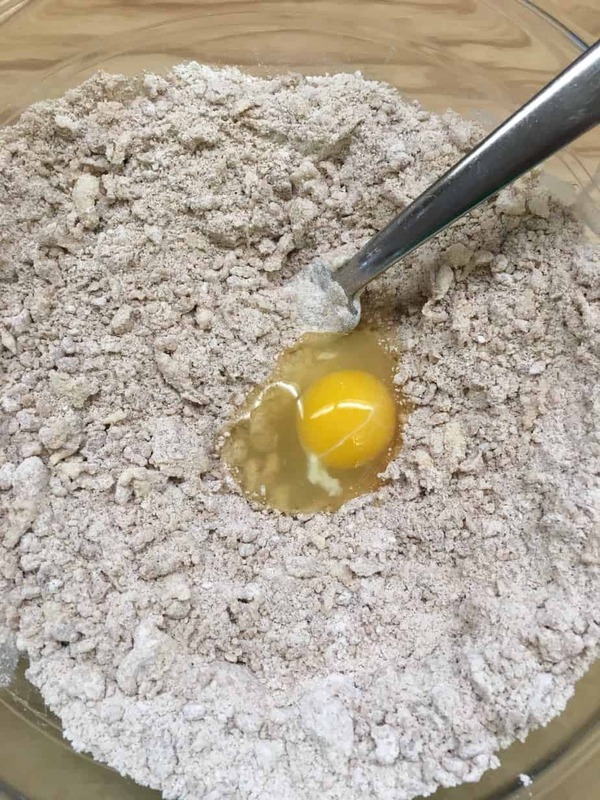 Mix the powdered sugar in, and then add two eggs. Mix it all up until it’s a beautiful creamy yellow color. All you have to do now is pour it over the crust and spread it out, before you stick it in the oven. I’m getting excited. Bake it for 40-45 minutes in a 350-degree oven. It will get crackly and beautiful on top. Mine cooked almost a tad too long, but it still came out gooey and perfect, and oh-so-delicious. You’ll know it’s done when you stick a cake tester or knife inside and it comes out almost clean. 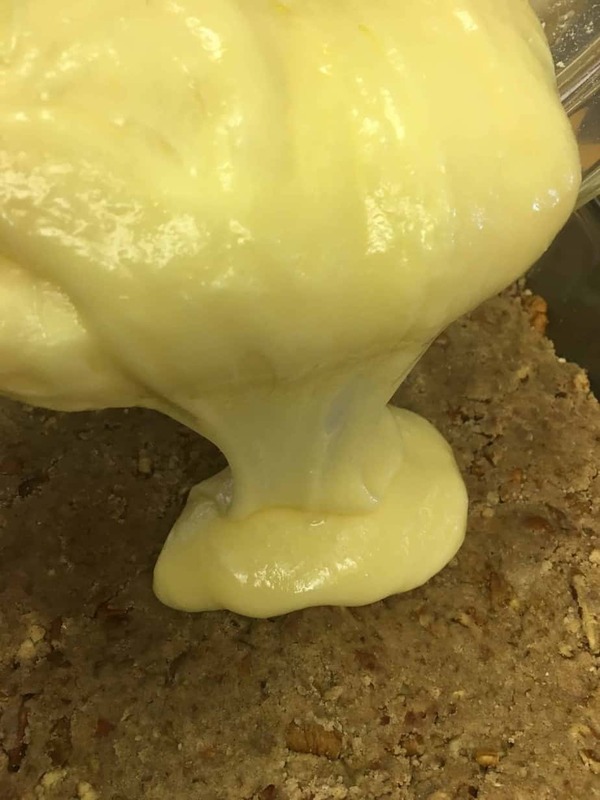 If it’s liquidy or runny at all, it needs to cook longer. If it’s a tad cakey, it’s done. 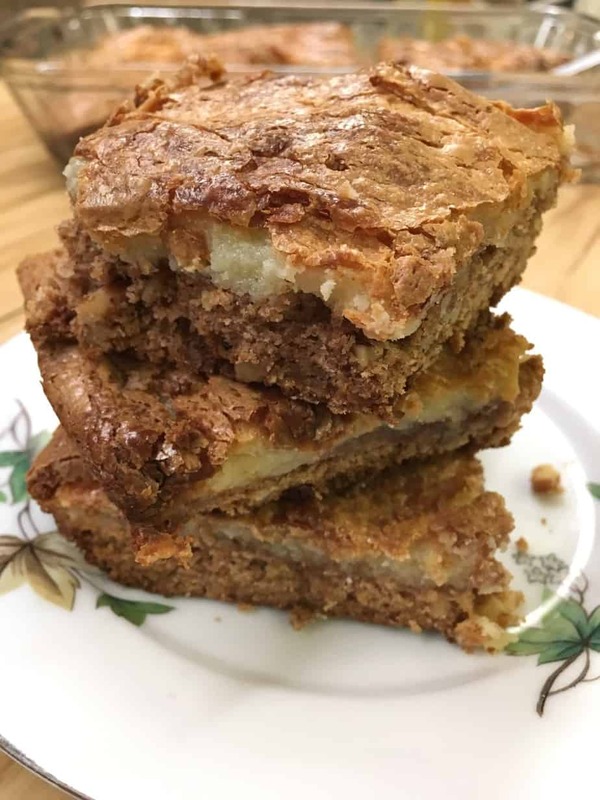 The spice cake pecan chess squares are a combination of gooey perfection with a delicious crust. 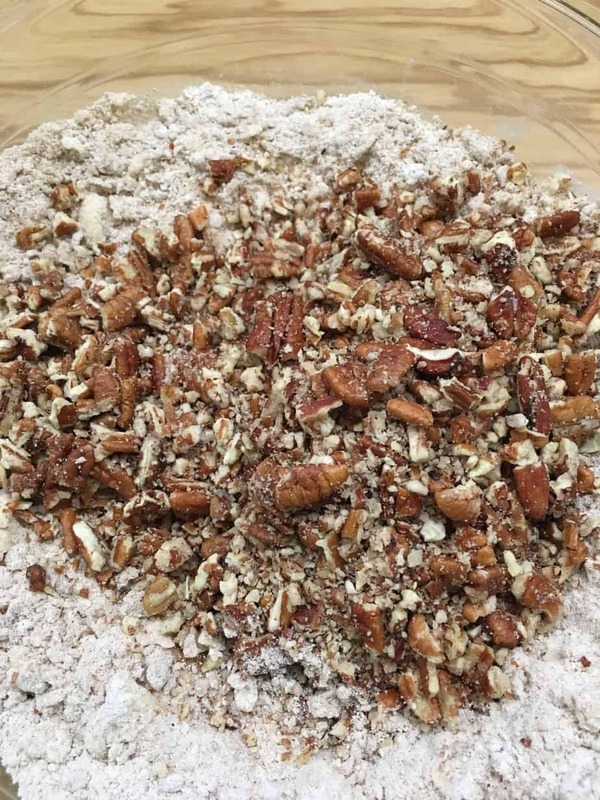 Looking for more dessert recipes with pecans? 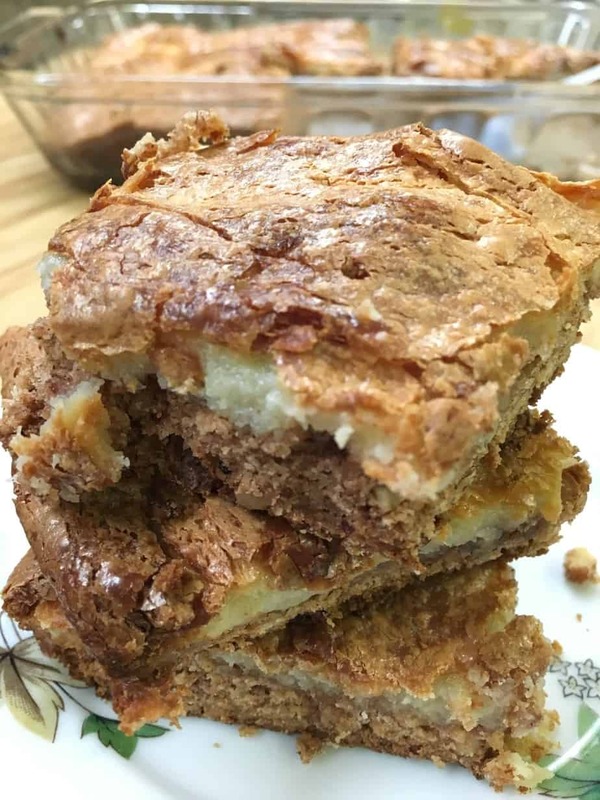 Southern pecan spicy flavors mixed with a gooey chess square favorite. Add the spice cake mix and softened butter to a bowl and mix well. 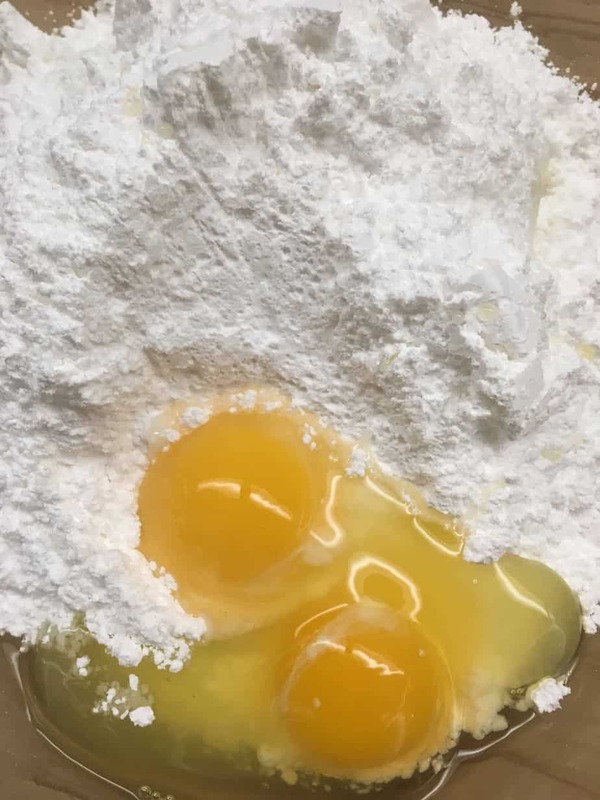 Add 1 egg and mix. 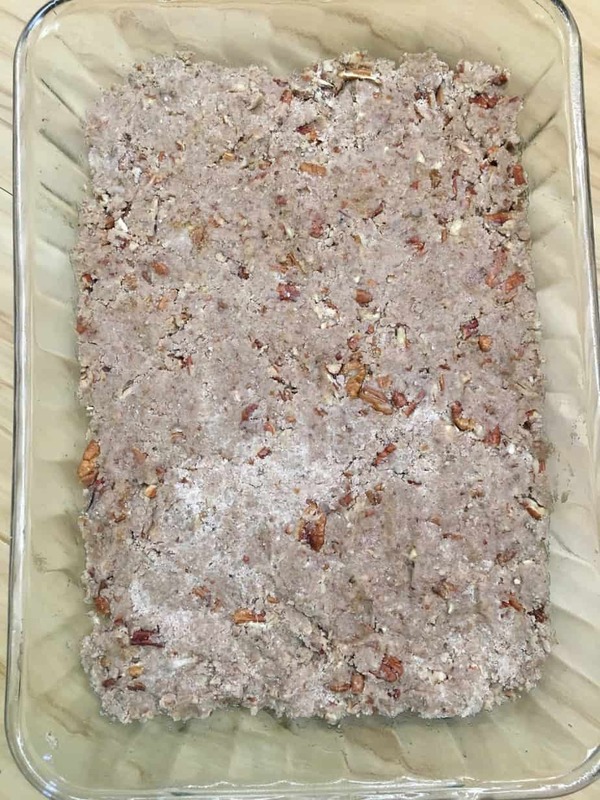 Press into a greased 9″ x 13″ baking dish. 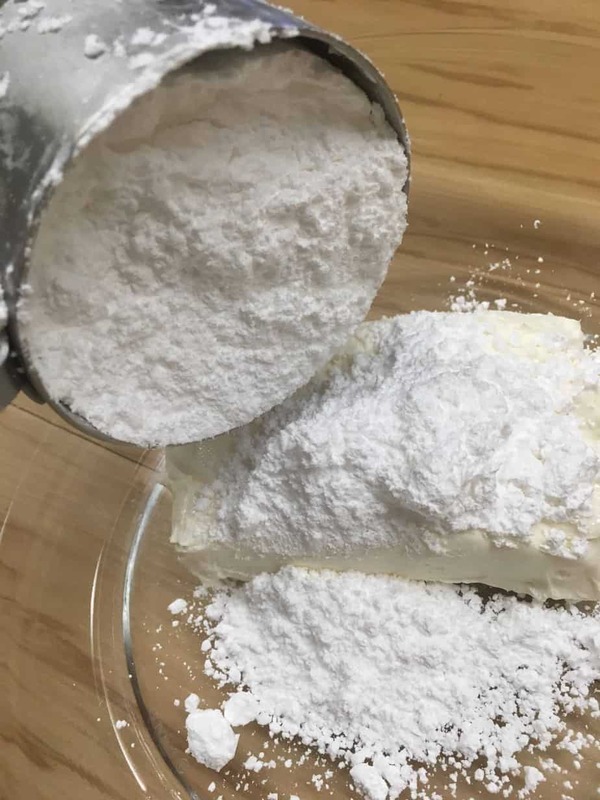 In a separate bowl, add the cream cheese and powdered sugar and mix well. 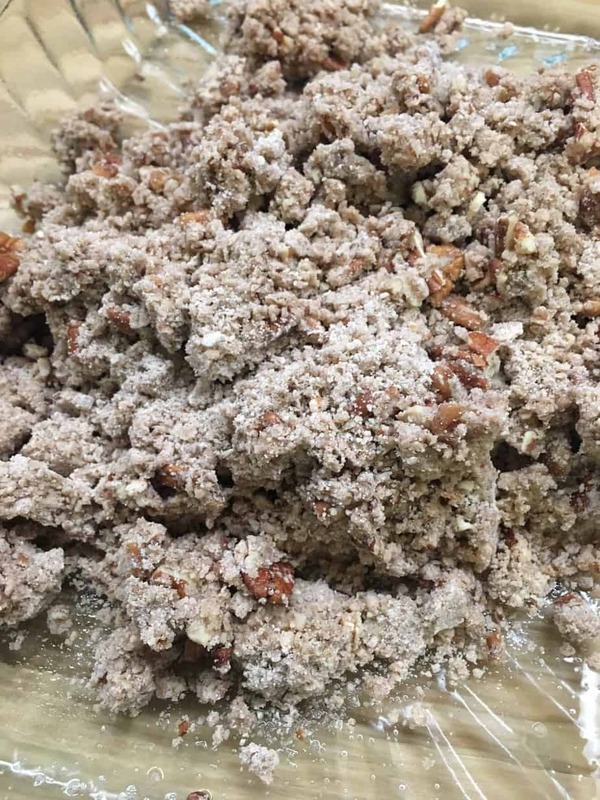 Pour the batter on top of the pecan mix. Spread evenly throughout the pan. Bake for 40-45 minutes or until a cake tester or knife comes out mostly clean.